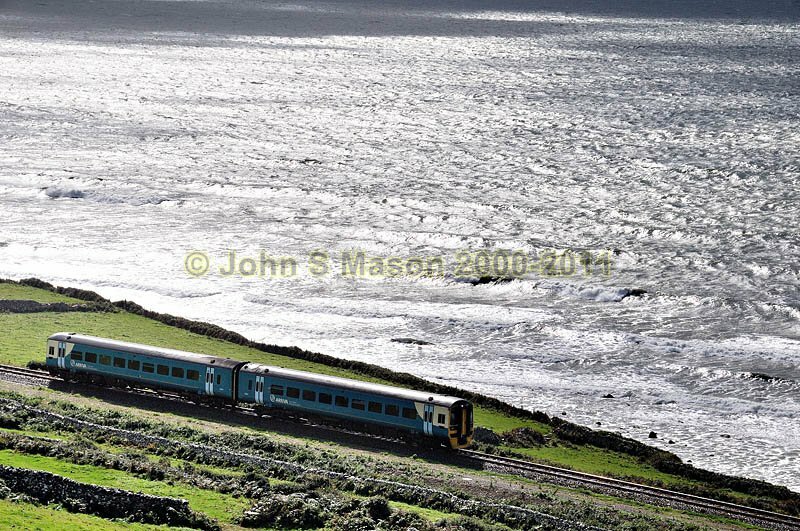 A Cambrian Coast train above the sea between Tonfanau and Llwyngwiril. Product number 080956. Email me to enquire about this image: click HERE.